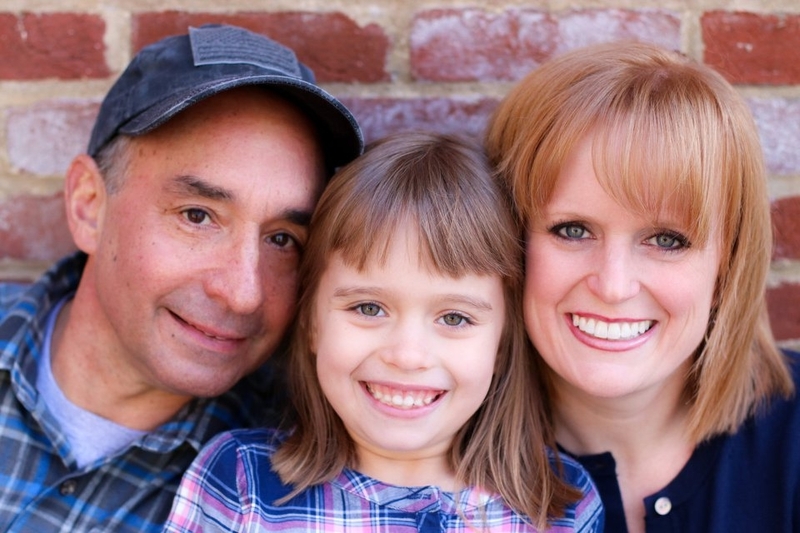 Kari with her husband, Matt, and daughter. Kari was born and raised in Leesburg and is now raising her family in the same town she has loved for so long. She attended preschool through high school in Leesburg at Catoctin Elementary and Cool Spring Elementary, Simpson Middle School, and Loudoun County High School (Go Raiders!). Many long time residents may remember Kari babysitting the local kids, volunteering, leading the Raider cheerleaders on the sidelines of football games, and lifeguarding at the local pools. Kari grew up in Leesburg Country Club with her parents Jim and Linda Rives, and her siblings. She resides just down the street from her childhood home now with her husband Matt, a professional fireman, and their daughter. Kari has an undergraduate degree from Radford University in Political Science and English, and is working on her MBA at Shenandoah University. She and her husband are small business owners of a standup paddleboard, kayak, and bike rental company and former owners of a CrossFit gym. Kari is currently the Director of Defense Intelligence Programs Delivery, and the Facility Security Officer for Ian, Evan & Alexander (IEA) Corporation in Ashburn, Virginia. As Director she is responsible for ensuring each program awarded to her business unit is successful. Her overall portfolio encompasses over 100 million dollars, and over 130 employees. Kari has been a part of the company's massive growth in the last 4 years and was honored to be named to Loudoun Times Mirror's 40 under 40 in 2017. She also works with top subject matter experts that directly support the Defense and Intelligence communities. As part of her security role, she ensures the business remains compliant with National Security standards for contracting companies to do work in the classified space. In her spare time, Kari loves spending time with her husband, daughter, and their 3 beagles. She volunteers in and around the community and enjoys caring for the elderly, volunteering with animal rescues, and at her daughter's school. Kari participates in standup paddleboard races, and loves being in the outdoors and exploring.